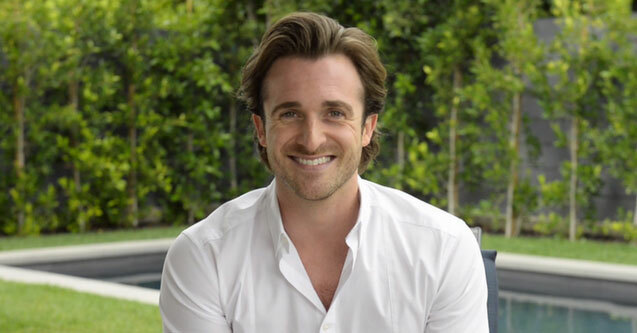 RELATIONSHIP guru Matthew Hussey has revealed the top five signs you’re dating a toxic person. The hunky Essex life coach turned dating pro shared the list of red flags on his dating advice blog. Matthew, who has more than 1.5m followers online, said partners who lie often and refuse to say sorry are some of the warning signs. He said: “I have five ways that really indicate someone is poisonous for your life. “There are many dangerous qualities of a toxic person, but the worst one of all may be their deceptiveness. Ready? Here are some of the signs he says to look out for which show you might be dating a toxic partner. 1. Toxic people look to inflict damage in arguments, rather than solving the issue. It means when they do talk about things, they are only trying to protect themselves. They become defensive and go into “scorpion mode.” They will also always try to get one up on you if they are feeling insecure. If you go out and they don’t like it, they will do the same and try and make you jealous. 2. They are overly defensive and they treat everything like it’s an attack. When you go to them wanting to talk to them about something you are not happy with, maybe a behaviour pattern, or something they did or said, they will meet that with aggression. One of the common side effects is that you will be afraid to bring up problems with them or tread on eggshells and this can result in anxiety. 3. They make you the root of all evil. If anything goes wrong it’s always your fault and it’s about what you’re doing wrong. Instead of admitting that something is actually THEIR fault, they will make it about you. This is one of the really insidious parts about dating a toxic person, they become very good manipulators and they can make you believe that things are your fault that have nothing to do with you. Always be aware of someone who cannot say “sorry.” Those people can break you and they will eventually make you believe everything is your fault. It will erode your confidence. 4. Liar, liar, pants on fire. Toxic partners will lie to deal with anything. They’ll find any way to make you the crazy one. If you get too close to somebody who makes you feel crazy even though what you’re annoyed about, or angry about, or upset about is completely logical that’s a relationship you have to get out of. Because that person will erode your confidence over time in a very powerful way. 5. They will show you the most love when you’re hurt. When you’re on your knees, crying and begging, when you are at your lowest ebb, then they will switch. It’s behaviour where they go super aggressive and make you insecure, but they will only show you love when you are at your weakest points. They only feel strong when you are weak. They get uncomfortable with your success.